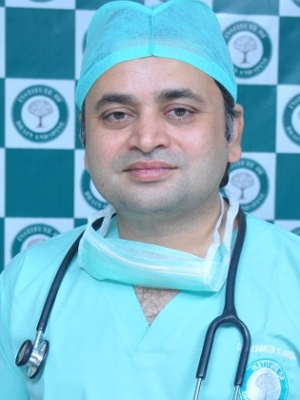 Dr. Dewaker Sharma did his DNB, (Neuro Surgery) from SIR HN Hospital. Thereafter he has worked as attending Neurosurgeon with Fortis Hospital Group. He worked as Consultant Neurosurgeon with Metro Hospital, Faridabad. > DNB, (Neuro Surgery) from SIR HN Hospital.